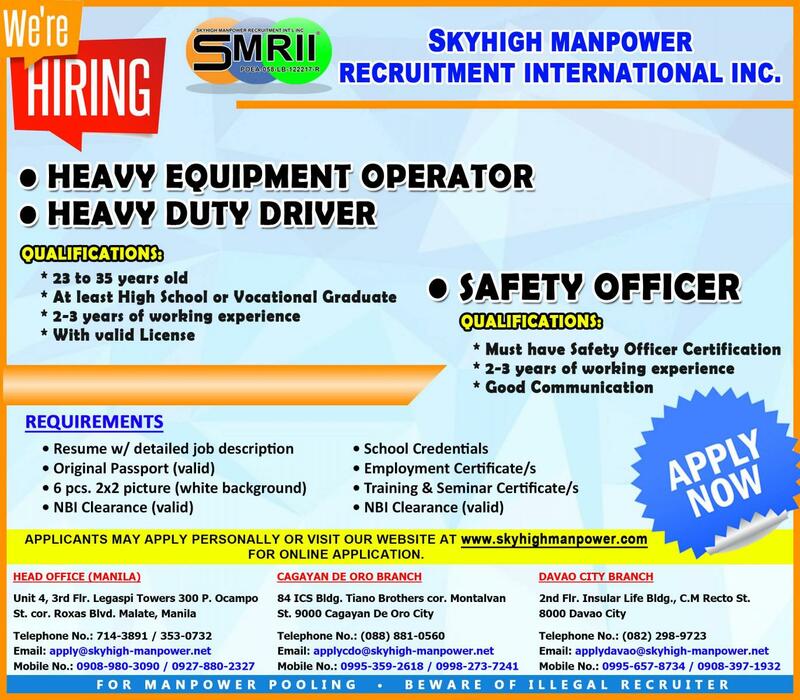 We are currently looking for applicants who will be deploy in the Kingdom of Saudi Arabia. Walk in applicants are also welcome. We are located at Unit 4, 3rd floor, Legaspi Towers 300, P. Ocampo St., Malate, Manila.